Sinfully good. Decadent. Rich and creamy. 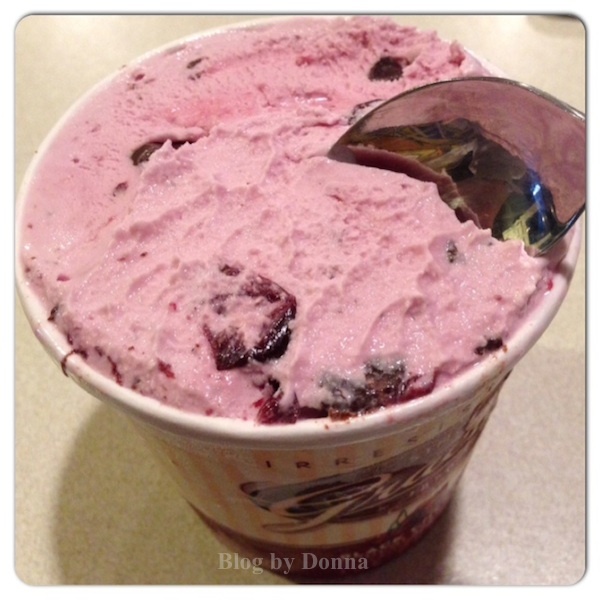 All are words to describe Graeter’s new ice cream flavor Black Cherry Chocolate Chip. Seriously, to die for! Okay, his exact words were, “The Black Cherry Chocolate Chip is awesome!” Sheesh. Being an ice cream aficionado, you’d think he could come up with a better description than that, right? He is right though, it is awesome! Well he is a man of few words, plus it’s hard to talk when you’re scarfing down a pint of Graeter’s ice cream. Personally, I loved every last bite of the Black Cherry Chip ice cream. Nice chunks of real cherry and dark chocolate that I just wanted to let linger on my tongue. As most of my readers know, I’m on a weight loss journey, so I hesitated for a brief moment on whether I wanted to even try the Graeter’s new Black Cherry Chocolate Chip ice cream flavor… but then I came to my senses. Besides, as I’ve been saying, “Everything in moderation.” I am not depriving myself. And depriving myself of this ice cream would be a travesty. Our secret recipe of fresh cream and egg custard is gently swirled along the chilled sides of a slowly spinning French Pot Freezer. As the creamy blend thickens, a blade softly scrapes the sides of the pot, folding the ice cream into itself. Then we add the fresh ingredients to complete our unique flavors. The gentle folding process prevents air from whipping into our ice cream and accounts for the extremely dense and creamy consistency. 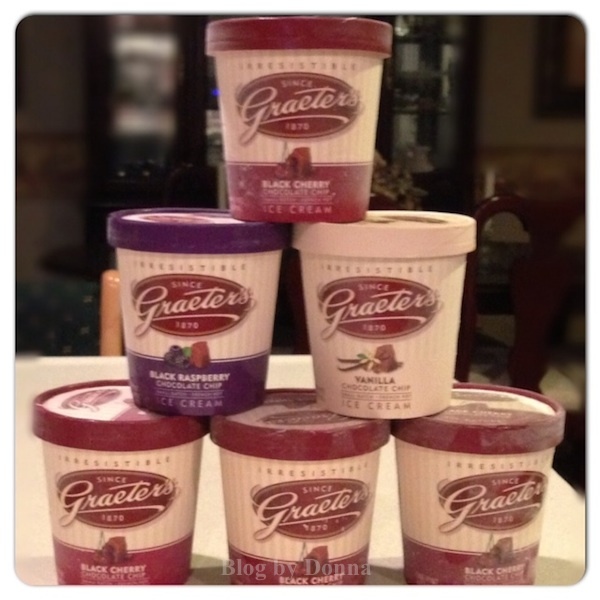 Where a typical pint of ice cream can weigh as little as 8 ounces, a Graeter’s pint weighs nearly a full pound! Graeter’s ice cream is so rich and creamy that we have to pack every pint by hand. I’ve saved my son’s opinion on the new flavor for last. Only because he prefers just chocolate or vanilla. He loves the Vanilla with Chocolate Chips. He did try the Black Cherry Chocolate Chip, and said it was good, but he’d prefer to stick with the Vanilla. He’s young, but I have no doubt that one day he will be an ice cream aficionado like his Dad, and love all the Graeter’s ice cream flavors. 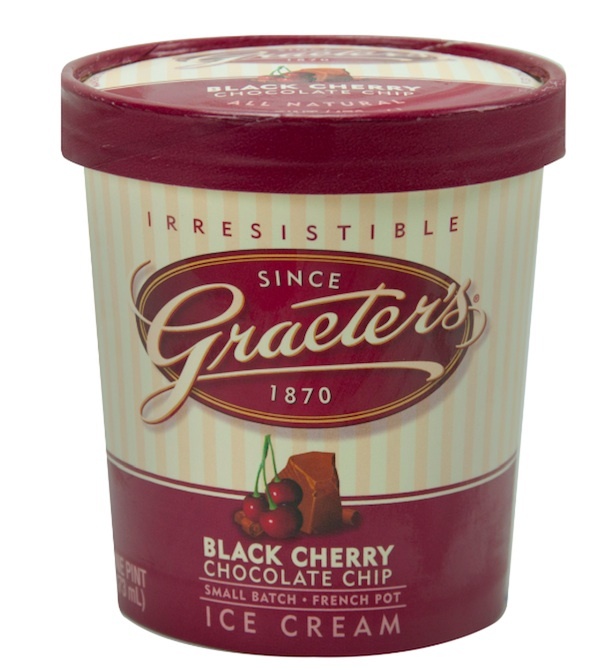 I highly recommend trying any Graeter’s ice cream flavor, but the new Black Cherry Chocolate Chip… is to die for! You can “like” Graeters on Facebook and follow @graeters on Twitter. And check out Graeters.com to see where you can find Graeters ice cream in your area. Disclosure: I received some Graeter’s ice cream to facilitate my review. All views expressed are my own. I love cherry,plus I am a chocoholic,but this Ice cream looks delish.I believe I could eat a half gallon of this flavor. Oh, this looks so good. I’m to try some soon. There’s one of those in Columbus near my daughter! Oh yum!!!! I wish I could try that. Yummmmmmmmmmmmmmmmmmmmmy! I love ice creams too, but cannot eat it too often. I love blackcherry! I would love this! Yum, I love ice cream. I am an ice cream fanatic. Black Cherry is one of my favorites. Black Cherry Chocolate Chip sounds delicious. Thanks for sharing. That looks great I love the chunks of cherry. We do not have this brand in my area, but I have to say that the words “ICE CREAM” did grab my attention. Now I want some. Oh my. YUMMY! That looks SO good. I love ice creams with fruit in them! I have never heard of this brand but the icecream looks amazing. I’ve been craving ice cream all week. Oh my, that looks as amazing as it sounds. Yum! that is one of my favorite flavor combos! the flavors that combine fruit and chocolate will always be popular. I wish I was more adventurous with my ice cream flavors, but I like to stick to my favorites.